THE role of the sales professional is undergoing a revolution. Today’s buyers are savvy and well-informed about products, services and prices. Can you compete for their business with other sales professionals successfully, confidently and with ease? Across the board in today’s market, the role of the sales professional needs to drastically evolve into one that is more tightly aligned with how a buyer makes decisions. As a sales professional, you need to focus on the reality that customers will buy at their own pace, on their own criteria and for their own reasons, no matter how badly you want the deal or how attractive your offerings look. Even if you have been fairly successful so far, the likely scenario is that you will be assigned a higher quota in a shrinking territory with cheaper and hungrier competitors. Buyers are more knowledgeable than ever, with the prevalence of social media and the Internet facilitating peer-to-peer information sharing and e-marketing campaigns. The traditional sales pitch that used the “I know just what you need” approach may be off-putting to potential buyers. While they may grant you a few meetings, you are no more than a source of quick tactical information — an “outsider” at best. If you don’t like to be “sold to”, neither do your customers, who like to feel that they are in control. Your role is to help the buyer discover the reasons he needs or wants a product, and then work with him to match those needs and wants to your product’s capabilities. There is no deal until the buyer expressly states his interest to you. The connection must happen in the mind of the buyer. The common approach for a sales meeting anchors on doing presentations. Sales professionals are prone to believing that a stack of well-formatted presentation slides and graphics will impress the buyer. While it is important to give a good overview of your company, 90 per cent of the precious time you have with your customer should be spent on a meaningful, value-based two-way discussion. This requires a deliberate effort from you to research and compile a stock of relevant success stories about satisfied customers who have used your products to enhance their business or personal lives. Next, prepare a list of questions based on these success stories to frame the discussion with your prospective customer. 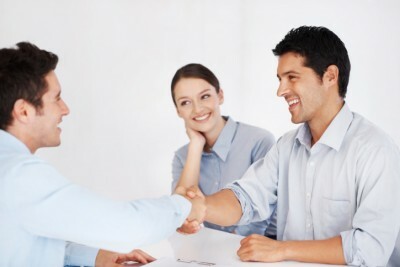 The idea is to ask questions that will invite the potential buyer to open up to you about his unique needs and problems. A plan of action, to be agreed upon by both parties, can then be drawn up, and a more thorough evaluation can take place later. Being able to negotiate from a strong position hinges on the fact that you have taken the necessary steps to uncover value and that you have met with the real decision makers. Value is defined as the expressed agreement that your product can address a customer’s business issues in the best way. Most importantly, you have earned the customer’s trust and respect along the way. Being customer-centric does not mean giving in to everything the buyer asks for. It means managing a balanced, give-and-take relationship. It also means saying a polite “No” at times when a request is unjustified, or when a buyer is not prepared to give anything in return. Develop a closing plan early and stick to it. Before agreeing to any discounts, you should confirm that you are the only preferred vendor, that price is the only remaining issue, and the date of issuing the purchase order. These are fair questions, which the decision maker — if he also cares for your success — should be able to support you in. Being a sales professional is an exciting career, but you need to see the game differently. You can add most value to your customers’ organisations and their careers when you demonstrate strong empathy and focus on how they actually go about solving their business problems. You are accountable for building relationships, which are based on your ability to offer solutions for your customer’s needs. This will ensure a long-term, satisfying and lucrative career.